A postcard can add another level to your event promotions. 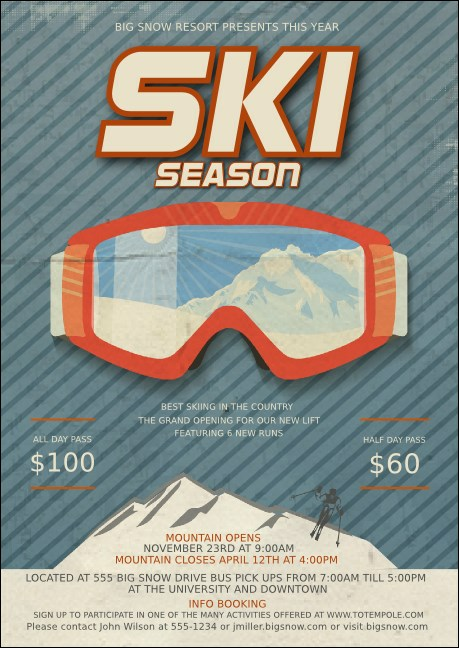 Leave the Ski Goggles Postcard at ski shops and lodges to promote your upcoming race. The arctic design features azure skies and snowy peaks. Goggles and text outlined in orange announce your big event. Send a snowy greeting with TicketPrinting.com.